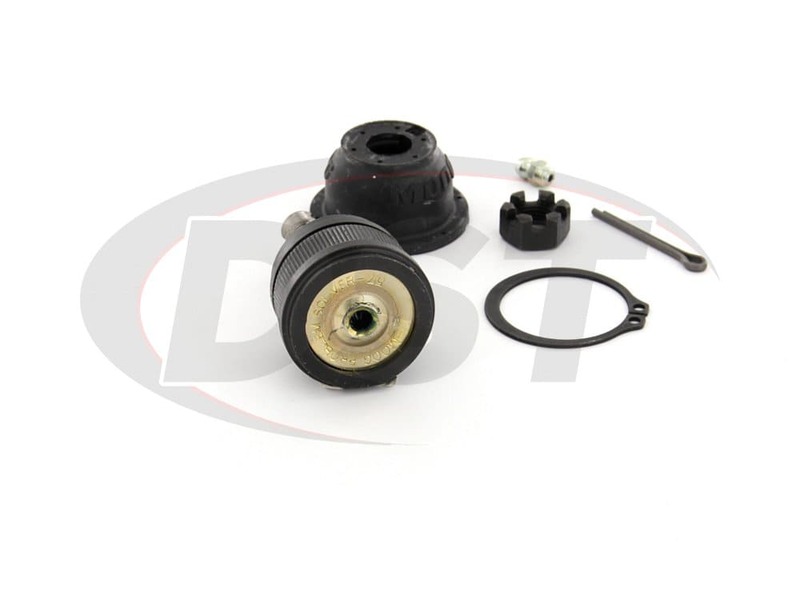 Moog part number K500210 front upper ball joint provides the option to only replace what needs to be replaced if the ball joint is the only issue. The Problem: There's not an OE replacement for the front upper ball joint of my Miata? The front upper ball joint has failed in your 1990-1997 Mazda Miata.  You find out that there is not an OE replacement offered. If you go with OE parts you are forced to replace the entire control arm. 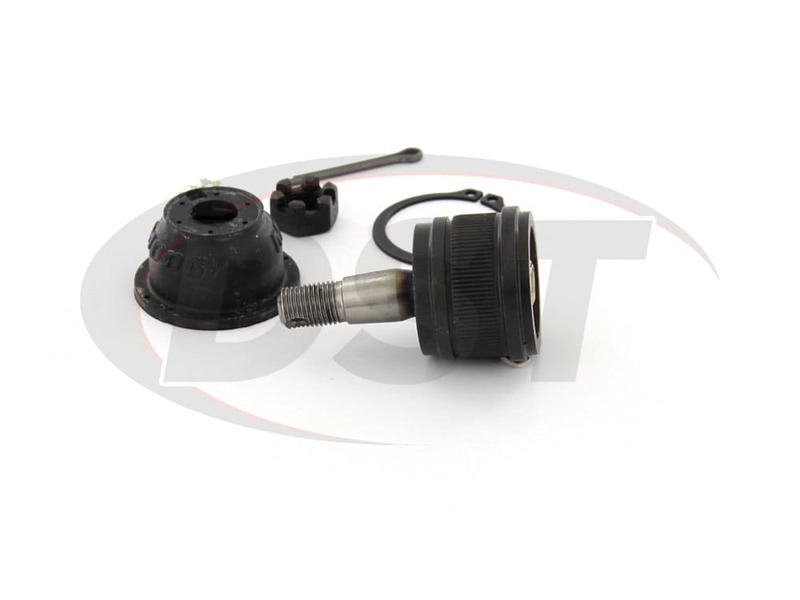 The OE front upper ball joint cannot be serviced-meaning there's not a grease fitting available to have access to flush out contaminants if necessary. Moog's line of problem solver parts target factory defects or poor original design, replacing them with a better more durable part. 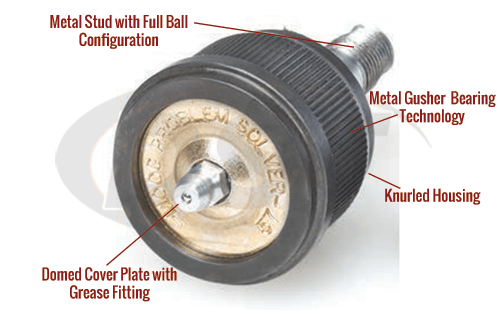 K500210 front upper ball joint provides the option to only replace what needs to be replaced if the ball joint is the only issue. 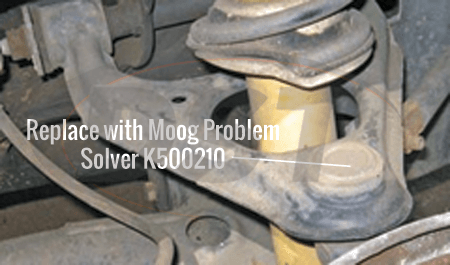 Moog engineered K500210 as the perfect replacement for the OE failed front upper ball joint. It has been designed with knurled housing which enables it to fit securely into the control arm. Engineered into this problem solver is an all-metal gusher bearing to provide strength and allows lubricant to penetrate bearing surfaces for longer life. 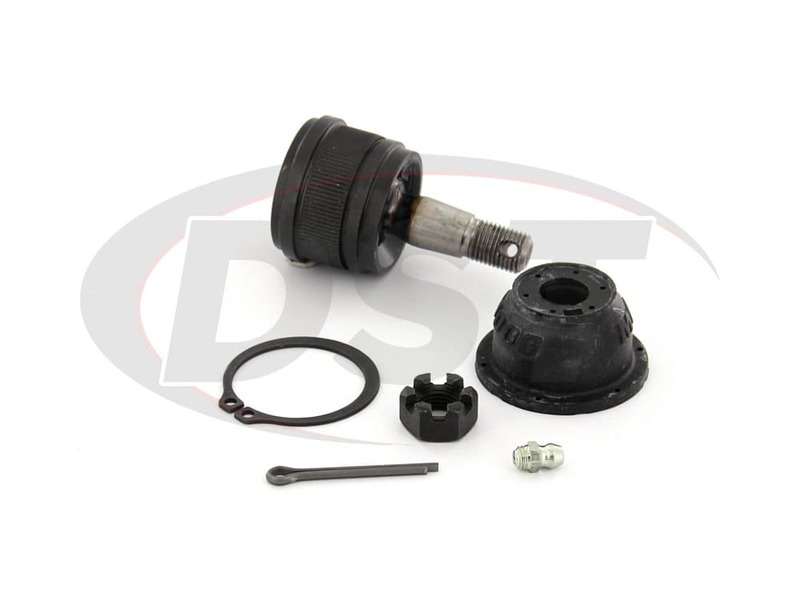 This front upper ball joint has a greaseable design as well as a patented domed cover plate to ensure proper preload torque for the life of the part. Moog has included a polychloroprene boot that lasts longer and directs contaminants out of the socket and away from brake components during lubrication. Our DST customer service team is waiting to answer your questions, so please feel free to call or click the chat button now. This part saved my steering from a ton of play. Hence why they put "problem solver" all over the part. The only thing I was confused on was the snap ring, but that was easy once I figured out how to install it, I might have torn the boot while doing so. I am building up a track Miata and would like to replace the upper ball joint. I see you have a press in replacement for this. Any issues with the ball joint coming out of the control arm during high stress use? Moog parts are OEM replacement. They are designed for normal everyday driving. Not racing. This will void the warranty is used on the track. If the ball joint is pressed in and the control arm is installed correctly there should be no issues. I purchased part number k500210 but ripped the dust boot. Can I just order a new boot? Do you sell the dust boot separately from part number K500210? Moog-K500210 - Front Upper ball joint - 99 Mazda Miata - Will these fit on my 99 Miata? Part number moog-k500210 will not fit the 99 Miata. Moog-k500210 is fitted for the 1990-1997. Does Moog sell just the dust boot for the moog-k500210? Unfortunately Moog does not sell their dust boots alone. Do you have the installations instructions for the part K500210? 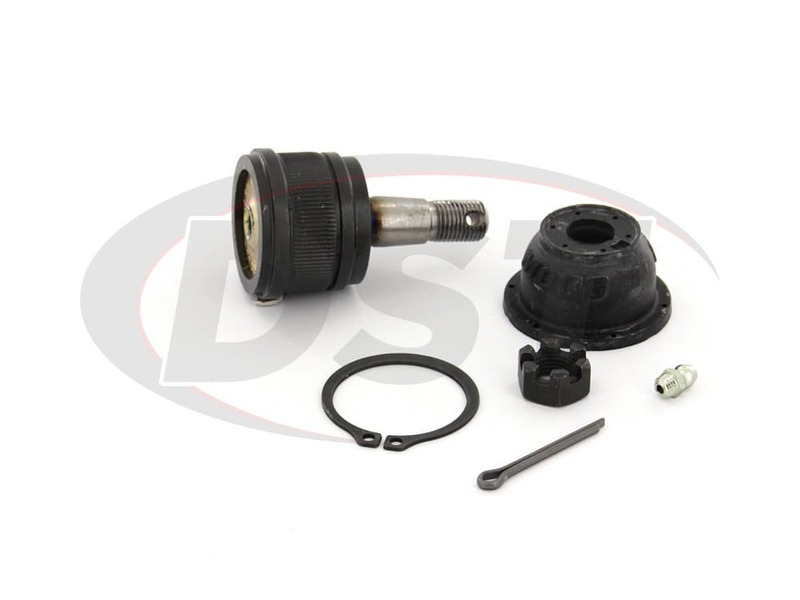 Moog-K500210 - Front Upper Ball Joint: 1994 Mazda Miata - I was wondering if you guys sold just the dust boot for an upper ball joint for my car? Mine was torn in the process of pressing it on because its impossible to do by hand. Thanks. 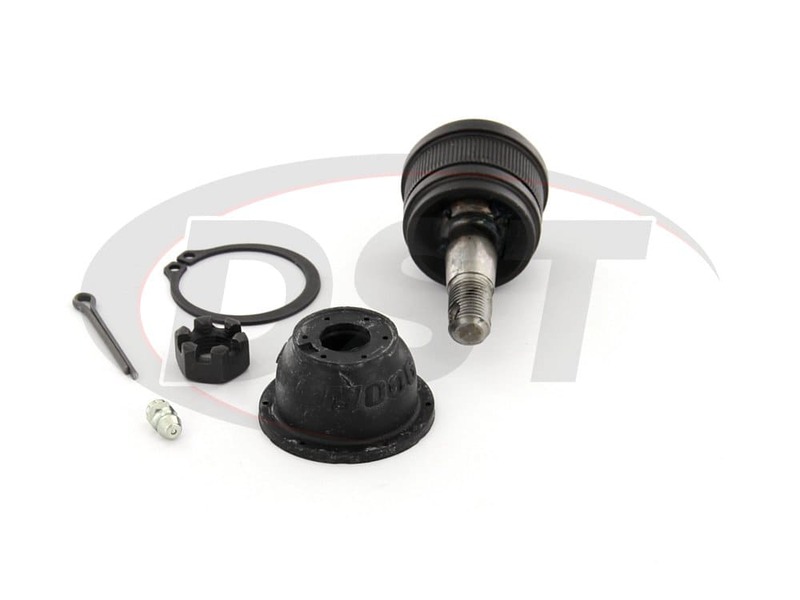 Moog-K500210 - Front upper ball joint- 1993 Mazda Miata: Does Moog part number k500210 come with a castle nut drilled shank and cotter pin or a nylock nut? Part number Moog-K500210 will come with a castle nut, and cotter pin hardware. It will have a cotter ping hole in the stud of the ball joint stud.